These approaches to recruitment, however, are not effective at more senior level jobs, jobs that require specific background and experience, proven track record, leadership talent, personality traits etc. In particular, those executive appointments that attract attention internally and externally, and are open to criticism on many potential counts. The more senior the position, the higher required standards from candidates. We have found that the most talented executives are typically employed and treated well, and very rarely put themselves on the market. Therefore motivating them to take on a new challenge that fits their career development requires a proactive and sensitive approach by experienced independent Consultants. This is what retained search firms have done for years. We have been told many times by candidate executives that they are much more comfortable being approached by a third party professional recruiter than by a representative from a competitor company. The tendency is not to share too much when speaking with a recruiter who is an employee of the company trying to recruit them. This makes it very hard to really understand the person's motivations for potentially making a move. Executives understand that they themselves are responsible for managing their careers. This is why they will open up to a professional search Consultant. They know that even if the position they are being approached for is not interesting enough, they want the Consultant to know who they are and what their ambition is for future opportunities. The three most common causes of failed recruitment efforts are poor communications, lack of systematic process, and unsatisfactory contract negotiations. A professional search firm using best practices is instrumental in ensuring that communications are of high quality and that processes are orderly. An orchestra without a conductor does not sound very appealing. Some Client companies believe that contingent searches - "no cure no pay" - are cost effective. We, however, are surprised that companies do not resent paying contingency fees. These fees are paid to firms who merely transmit cv's or biographies from their database hoping that the Client company hires one of these candidates. A retained search, if successful, is not that much more expensive than a contingent search and the value delivered to the Client company is substantially greater. 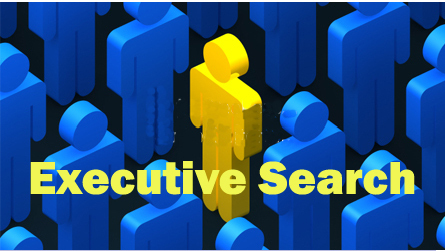 Indeed, a retained search firm will actively locate the best executives in a well-defined environment, approach them at the company where they are employed, interview them face-to-face and send Clients, within a short time frame, a short list of selected individuals with detailed evaluation reports, sometimes including psychometric assessment. Retained Search firms always conduct detailed reference checking which offer substantial guarantees. They give significant support in the salary and contract negotiations. They ensure that the recruitment process is exhaustive, systematic, fairly managed and open to inspection. This is especially relevant nowadays when diligence, auditability and good governance are a corporate priority. Retained search firms are motivated to help Clients hire the "right" person and look to win more business based on successful previous assignments. Choosing the right retained search firm guarantees a high ROI. The added value in hiring the right person who delivers, versus one who doesn't is very significant. Moreover, the cost of a recruitment should be amortized over a period of three years, which is the average time that a senior executive spends in any given job.